Nope, swapping the HDD with a SSD does not kill the warranty and many Apple users do that (I have done it on a 4 years old Macbook). But if other people find it better to pay for the Fusion solution (and a good solutions it seems to be) good for them. i saw that in order to test a "pure ssd" setup you connected a 830 ssd to the imac over USB 3. As far as i know the best transfer rate over USB 3 is around 250 MB/s and the worst is well... terrible. 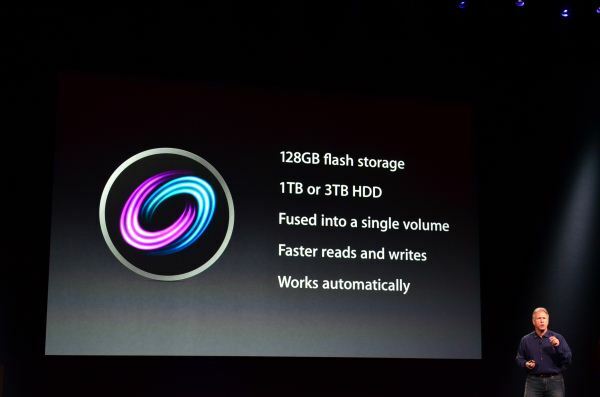 The performance would be 6.94 for fusion drive and 10.19 for a "pure SSD". 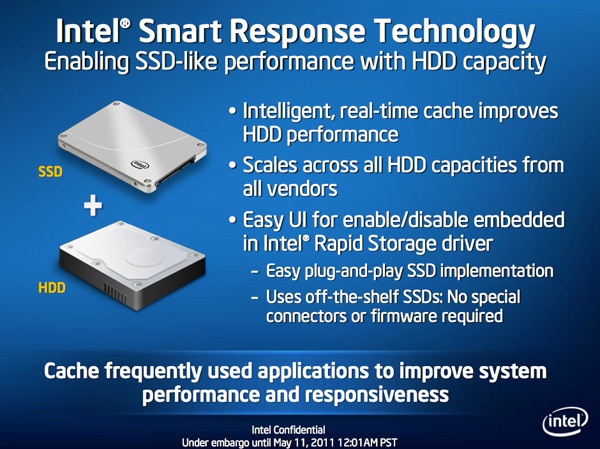 This is an increase from 114% advantage for the "pure SSD" to 147% advantage for the "pure SSD". If on the other hand your USB connected SSD did not write at max and a SATA 3 connected SSD would (that is 350 for the samsung 830 on an intel Z77 SATA 3 port) that difference would skyrocket. Did you check that on your particular workload the USB 3 connection was not a bottleneck? I have a 2011 Macbook Pro with a 128GB Corsair Force 3 SSD and a 500GB hard disk. I decided to run the commands to make a fusion drive and so far, it's working, although the Force 3 isn't running that fast, despite being set to 6Gbps SATA. I'm going to install some new hardware in my iMac next. A 256GB Kingston Hyper X 3K SSD and 2TB hard disk (with thermal sensing cable from OWC, essential for iMac custom hard disk installs). I'm not entirely sure I want to make a Fusion drive on the iMac as well. My current usage is about 500GB, with most of that being music files. On one hand, I have no need for mp3s using up my precious SSD space, even if I listen to them 1000 times a day. On the other, the simplicity of no longer having to worry about the locations of files is very appealing. I have no experience with the 'fusion drive' but wonder about a clone/backup method, given the circumstances. I do have a MBPro with a 256GB SSD paired with a 'spinning' HD (replacing the DVD). I followed instructions offered by a Matt Gemmell, re: moving the 'home folder' to the HD. This allowed a backup clone of the SSD & a separate copy of the HD files. Machine: 2010 15" MacBook Pro, 8 GB RAM. Disk controller is SATA II, so pointless using SATA III devices. Installed 750 GB WD Scorpio Black HDD in optical drive bay using Data Doubler bracket (/dev/disk1). Installed 240 GB OCZ Vertex Plus R2 SSD in HDD bay (/dev/disk0). Both were formatted as JHFS+ using Disk Utility. A Recovery HD partition was created on the HDD using Carbon Copy Cloner as /dev/diak1s3. Fused /dev/disk0s2 and /dev/disk1s2 together giving ~1 TB Fusion Drive.